Our aim is to provide a high quality physiotherapy service as part of a multidisciplinary team to meet the needs of children and young people aged 0-16 (up to 19 if already in the service). 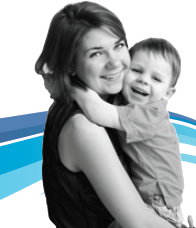 We work in conjunction with Universal services such as Health Visitors, GP’s, School Health etc. as appropriate. We can support the child and their family with the physical needs and development of children and young people presenting with musculoskeletal, neurological, developmental and orthopaedic conditions who may also have complex long term medical, social and learning needs. The focus is on maximizing a child or young person’s physical ability within their every day activities at home, in education and in their community. We are not a curative service and our aim is to support and develop self-management and independence. Staff are based at Woodview Child Development Centre, Crow Wood Health Park where we also offer a clinic based service from which is fully accessible. Clinics are also delivered from Brookvale Children’s Centre. Home visits are offered for where home equipment is required. Services are also provided in the community ensuring that children (and parents) are treated closer to home where appropriate. This could be at, School, Special School, nursery/pre-school, home, or any other community setting as appropriate to meeting child and family’s needs. The Team provides a service to children and families residing or being educated in the Halton Borough with a Halton GP as well as those registered with a GP in Frodsham & Helsby. Paediatric Physiotherapy aims to provide early intervention for children who present with problems of movement, acquired or congenital deformity and who need help to reach their full potential. Early intervention with problems occurring with children reduces the future likelihood of major intervention being necessary. The quality of life achieved later is greatly affected if the child does not maximise their potential at the earliest possible time. Where needed we will assess for, recommend and provide specialist pieces of equipment order to maximise children’s and young people’s participation and independence in daily activities at home, nursery or school. Referrals are accepted via medical, health or educational professionals via a referral form. View our Woodview Specialist Children’s Services webpage for our referral forms. If a completed set of questionnaires are not received with the referral form then the referral is not accepted. Families can request any relevant professional to refer on their behalf. Referrals to Physiotherapy are received and processed at Woodview Child Development Centre. On receipt of completed referral form and questionnaires, Patients are sent an opt-in letter asking them to contact if they would like a first appointment. The service has a waiting list for first appointments and all children are seen before 18 weeks from referral. There is no cost to use the Physiotherapy service. Expert assessment including in depth analysis of physical ability and skills. Collation of information about the child or young person skills to inform diagnosis. To be fully involved in the development of a management plan for their child. That the plan will contain clear measurable goals and expected outcomes. That the goals will link to daily strategies for families and others to implement on a daily basis. Families can expect programs that they and relevant others, such as nurseries and schools, are to implement on a daily basis. Families can expect that they and important others, such as teaching staff, develop their own skills in using the appropriate strategies to support their child on a daily basis. Families can expect coaching sessions which may include a defined number of coaching sessions with the child individually or in a group or a training package for parents and teaching staff only. Those who work with the child have written information which is always copied to the family. That physiotherapists will advise and provide support for equipment where relevant and clinically appropriate. That where relevant, goals and management plans are provided jointly in order to work in a holistic and meaningful way with families. A young person’s needs are continually reviewed and reassessed. Where the service continues to be involved at transition points, such as school entry or moving from primary to secondary, children’s to adults services, this transition will be supported to be as seamless as possible by ensuring links are made with other relevant agencies. Once the child / young person has reached their ability to become self-sufficient with their physical skills or they have reached their anticipated level of independence, the role of the physiotherapist is over. Skills are at an optimum level and the child or young person’s parents and teaching staff are trained to maintain the physical and functional skills acquired and to ensure they are supported in an appropriate learning environment. Difficulties no longer have significant impact upon child’s development. The decision to discharge to the support of all others in the child’s life will always be discussed and agreed with the child or young person, their family and other relevant professionals. Communication with users is routinely, face to face, in written format e.g. letter and reports or by phone. Email between parent and therapist is also used with parental consent. Parents/carers and child are involved in setting goals and sign them and will get a review report to inform of child’s progress. All who work with the child have written information which is always copied to the family as well as the GP and HV/School Nurse. Physiotherapy staff will contribute to Education, Health and Care plans and review for children and young people with additional needs. Where required, interpreters can be made available on request. We routinely ask for feedback from you to see how we are doing. This may be a request for verbal feedback, or we will ask you to complete an anonymous feedback form. We operate a Patient Partner Service and we would like to invite families to work with us to improve our service. Advice and Intervention on the basis of assessment of clinical need. An individual management plan developed and agreed with the young person, parents and carers as appropriate. Pre and post-surgery management and rehabilitation for children and all members of staff receive training in disability awareness and undergo regular supervision and clinical training to maintain their skills and develop new expertise. Every member of the team has an up to date DBS check. We deliver a range of services that you can access for you and your child/young person. This includes, written advice leaflets, coaching/support sessions and review clinics. Evidence shows that the best results are achieved when we work with those in daily contact with the child and young person. This enables those around him / her to promote skills to their full potential in a variety of meaningful environments. For us this means working with a variety of settings and with a variety of other people including parents and professionals. We aim to form a partnership with families and professionals to support others to maximise their child’s potential. Parents are a significant member of the team who hold a unique insight into their child and whose contribution we value. Our role as physiotherapists is to provide support and coaching to the significant people in the child’s life to enable them to develop and maximise their child’s skills and potential. In order to offer integrated, high quality services for children, all of our Children’s Services work closely with preschools, nurseries and schools. We share information about the outcomes of assessments and the strategies recommended in order that preschools, nurseries and schools implement the same strategies on a daily basis. We also inform preschools, nurseries and schools when a parent does not attend an appointment. This will greatly help your child, but it you do not wish information to be shared you may withdraw your consent at any time. For general enquiries regarding Physiotherapy, specific enquires about a child, or for questions about a referral – contact our admin team on 0151 495 5400. The admin team may then put you in contact with any individual member of staff, or the team lead that can most help you with your enquiry. If you have a compliment, a concern or want to make a comment about this service you can contact Patient Services (Formally PALS). In order to offer integrated, high quality services for children, all of our Childrens Services work closely with preschools, nurseries and schools. We share information about the outcomes of assessments and the strategies recommended in order that preschools, nurseries and schools implement the same strategies on a daily basis. We also inform preschools, nurseries and schools when a parent does not attend an appointment. The Association of Paediatric Chartered Physiotherapists is a clinical interest group of the Chartered Society of Physiotherapy. There are parent information leaflets available. Scope offers a range of services for disabled children and young people. Provides advice and information for children with sensory processing difficulties. Steps are a small national charity supporting children and adults affected by a lower limb condition such as clubfoot or a hip condition. Shine is Europe’s largest organisation dedicated to supporting individuals and families as they face the challenges arising from spina bifida and hydrocephalus.